★★★★☆ Lightweight with plenty of memory. Pretty easy to use, and easy to transfer from previous phone using Samsung Switch app... but the SIM card is a different size, so it required a trip to the AT&T store. Nice graphics, sharp text, but the battery runs out after a full day of use. ★★★☆☆ Better then the s6 but not nearly as good as the s5.seems like Samsung is going down hill. At least the galaxies are. I wish they would bring back the features of the s5 just update it.I was going to get an s8 but not sure now.Pretty disappointed. ★★★★★ After years of cheap phones, I finally decided to move on to a flagship phone on the Android market. This device checks all the boxes. Fast, blazing fast. Josh Gordon fast. Excellent visuals on the screen. The color is saturated rather than sharp. Usually I prefer it the other way, but it has grown on me. I also like The camera is very nice. May not blow you away like some pictures taken from the newest flagship phones, but this camera will more than work for 8 of 10 people. This device has plenty of useful features. Wireless charging, always on display, good talk quality and you can expand storage up to 512GBs! Wow.. . This device is loaded. I researched for months before making the purchase. Even though it is over 2 years old, the price has depreciated very well and it does pretty much everything the phones 3 and sometimes 4 times the cost of this ($275). 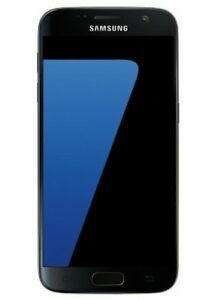 Find a better value than the S7, you really can't. ★★★★★ I have purchased "slightly used" or "display phones" before and had always seen small scratches either on the screen or the phone's case. This phone was in brand new condition! Now, that might not apply to all of these phones that are listed... but it did to mine! The phone arrived quickly, so receiving the phone was no problem either. The phone itself works exactly as it's supposed to work. I'm not a huge phone user, so my opinion on the battery life may be a bit skewed... but it lasts me from the time I get up until the time I go to bed (and recharge it) and I still have around 40% battery life left. But, like I said, I'm not a kid that goes around with my face buried in my cell phone all day long either! If I HAD to come up with negatives about the phone is that I'm not crazy about the "back" icon being on the right and the "display open apps" icon being on the left. That just seems counter intuitive to me. The "back" button is always on the left on just about any web page... why not on the phone. Likewise, the "all open apps" button is normally on the right. The only other negative I can come up with is that I would probably have made the "home" button be an icon rather than a literal button. It's much easier to simply touch an icon rather than having to push in a button. But if those are my only gripes... that's not too bad. The camera is PHENOMENAL! Of course, you have to keep in mind that I am comparing this new S7 to my old cell phone camera that I told everyone "you're better off using an etch-a-sketch rather than the camera on this phone". But that aside... the pictures are VERY clear and crisp and the camera is quite easy to use. To wrap up my review... if my wife were wanting to upgrade her phone right now... I wouldn't hesitate a moment to order another one of these!